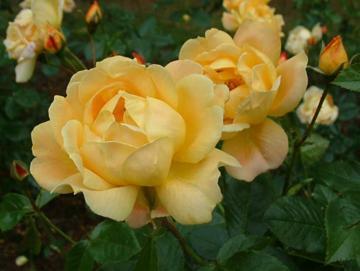 Floribunda bush rose with shiny dark green leaves. Double apricot-orange flowers, flushed with red, borne singly or in clusters from summer to autumn. Fragrant and reputed to be disease resistant.